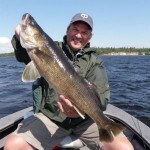 There were huge changes in the walleye world this week and as usual, weather was the instigator. We started the week with bright sunshine and flat water, got banged up with a 2 day storm front, and closed out the week with a big cold northwest blast. We had big winds, big waves, and big moves. 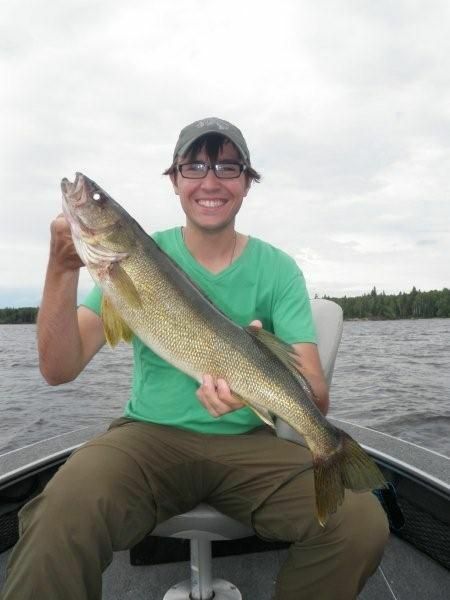 Despite a few rough days it was still a really good week overall for walleye volume and size. Early in the week with nice weather, the deep water sand flats were the go to spots for both size and numbers. 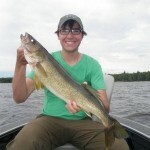 There were a few fish caught from the deep side of the weed beds in 10 – 12, but the big fish were noticeably absent. Deep sand produced size and numbers. 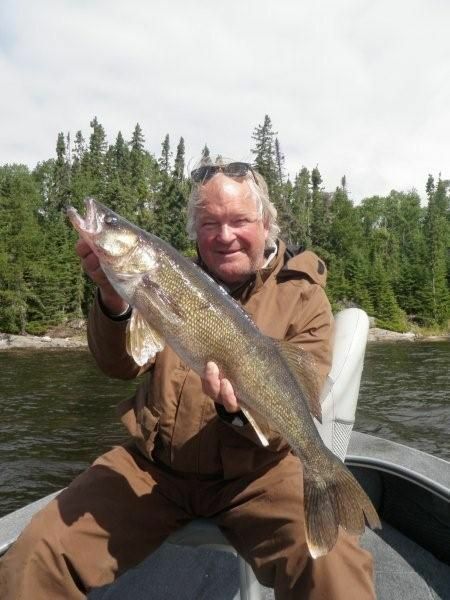 During the storms, we just did what we could to find a place to fish and took note that the writing was on the wall – “the times they are a changing.” After the front, with more big winds we found that deep water sand spots were overwhelmed with tiny walleyes. Shallow water weed spots were empty. 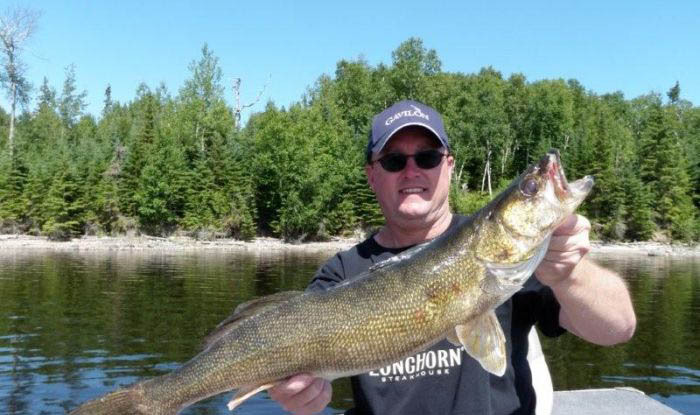 And the best bet for big fish was deeper water main lake rock. Not all summer deep rock spots were on, but many produced between 20 and 30 ft. towards the end of the week. Minnows with ¼ oz. jigs were the top producer. 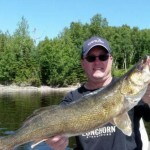 For the week, we caught 32 walleyes over 27 in., including 12 – 28s. 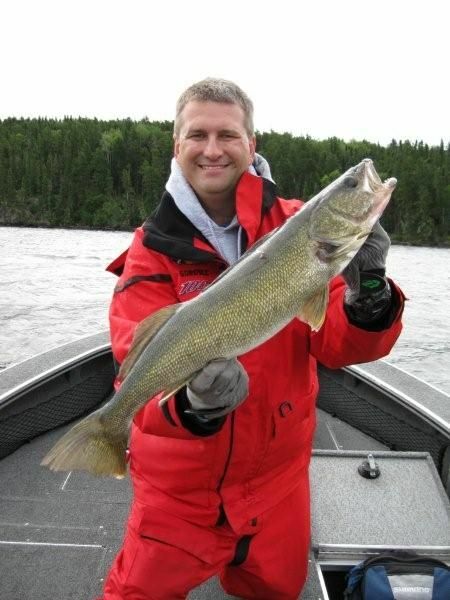 Guide sheets averaged 35 walleyes over 18 in. per day. The highest daily total was 64. 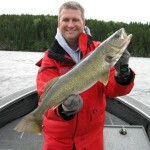 Factoring in several tough fishing days, it was still a very good week. 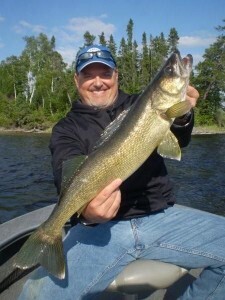 We did have some anglers chasing pike this week and the results were mixed. Volume was generally good for smaller pike and there were some big fish landed, but there were also some very slow spells. For the week we had 2 – 37s, 1 – 38, 1 – 40, and 1 – 42. 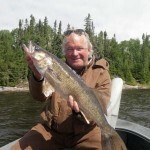 First time guest Wade Hicks fished with us early in the week when the walleye bite was excellent on the deep water sand flats. 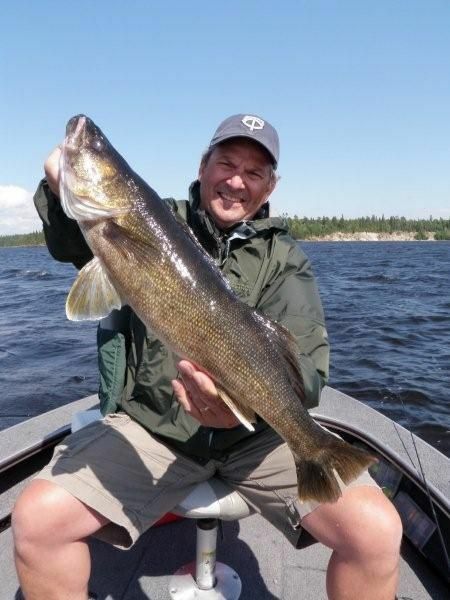 He and friend John Randolph caught the highest daily total of the week – 64 walleyes over 18 in. in one day.